NN650 – IOM Cart | Computational Diagnostics, Inc. The NN650 IOM cart uses the complete feature set of the Neuro software, combined with Protektor® hardware from Natus/XLTEK, to create the optimal IOM system. This perfect combination of durable, efficient, and easy to use hardware and software is housed in a sturdy yet easily movable cart designed for mobility between OR suites, the ICU, or a diagnostic lab. 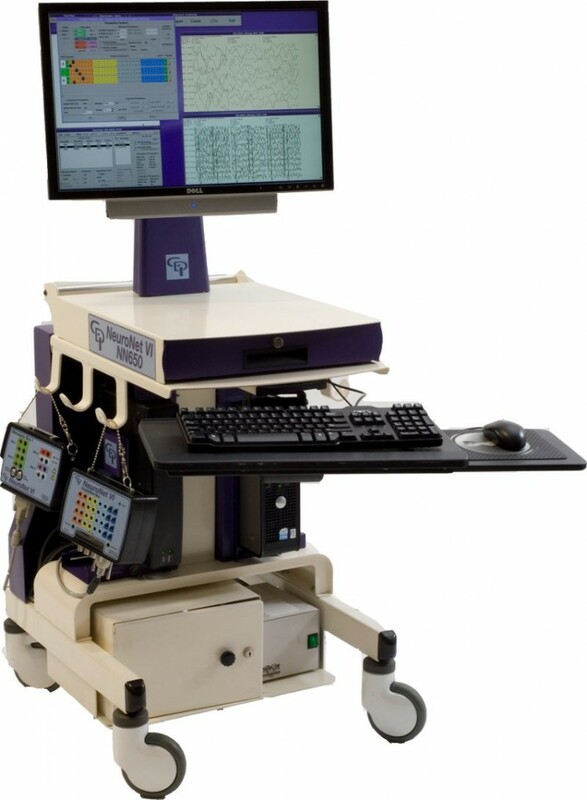 The NeuroNet NN650 is a multi-modality capable system, simultaneously capturing SEPs, TcMEPs, BAEPs, continuous and evoked EMG, and continuous EEG with speed and efficiency.